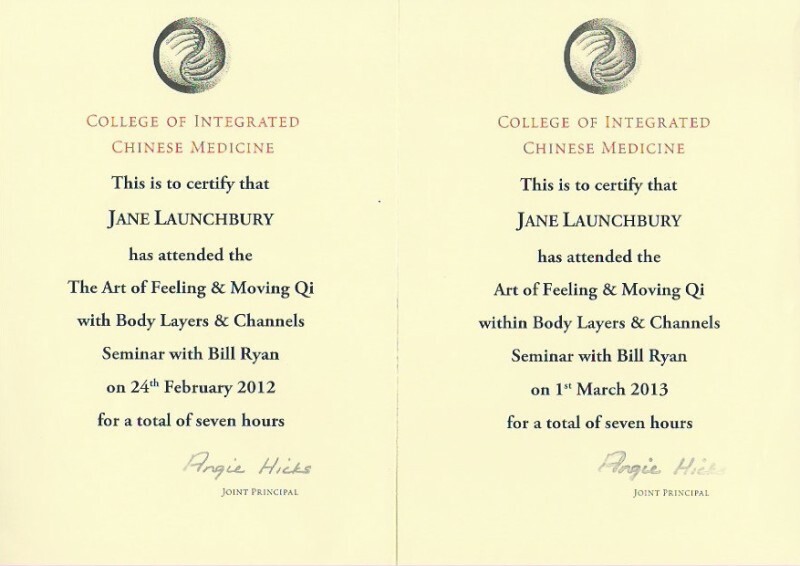 Jane has studied Tai Chi, Qigong, Meditation and other healing arts since 1991. 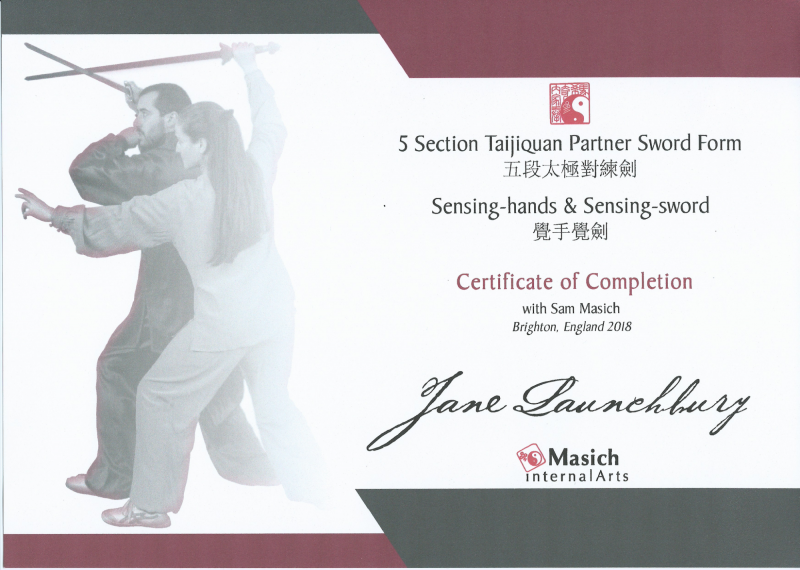 She has been Patrick Foley’s partner since 1990 and they married in 2012. 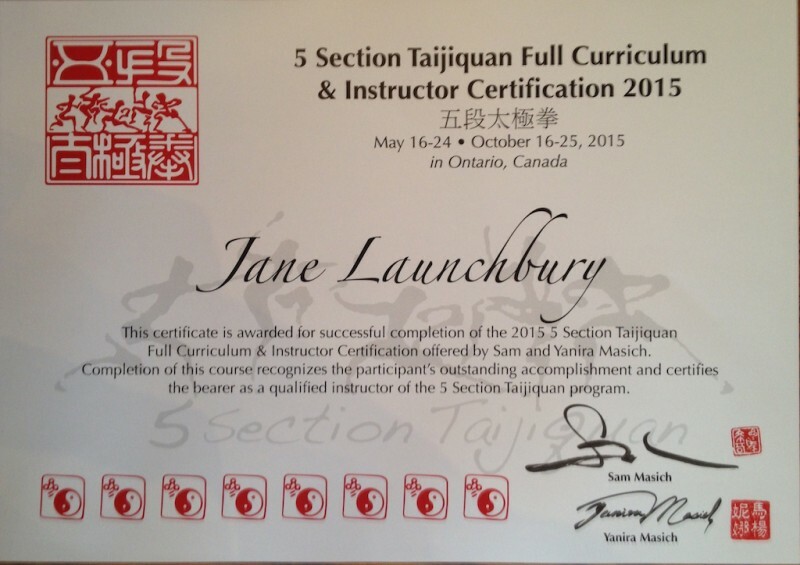 She currently teaches as both Jane Launchbury and Jane Foley and happily answers to either. 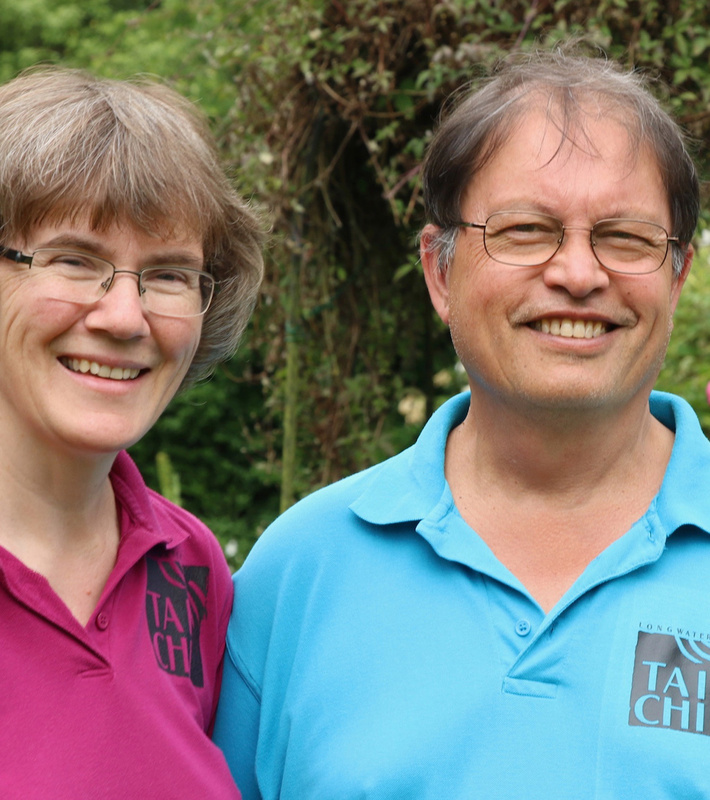 Together, Jane and Patrick have travelled and studied around the world, also living and working in warm parts of the Far East for a number of winters. 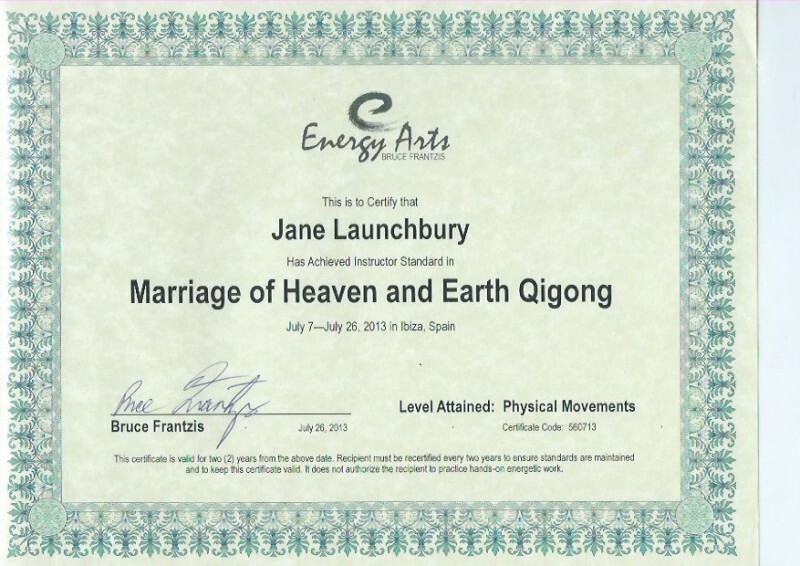 Jane has a natural facility for qi-energy work and meditation. 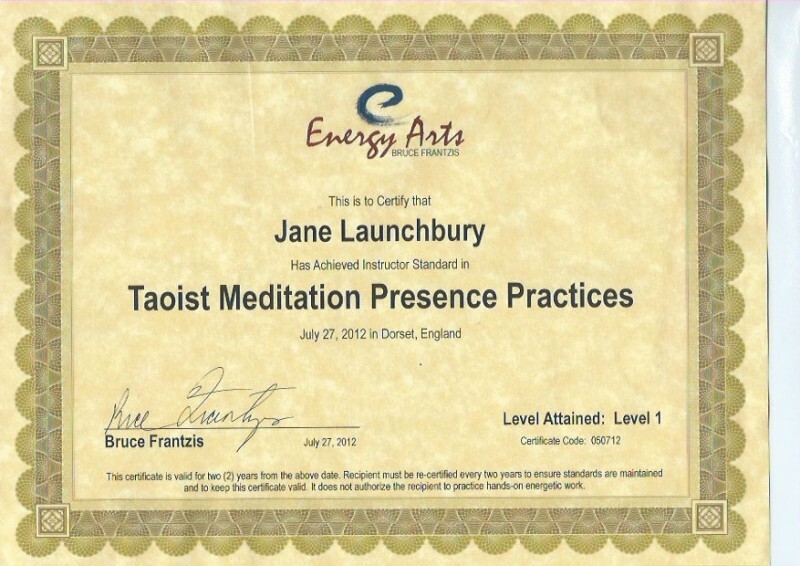 She enjoys teaching people who wish to stay healthy and flexible as they get older and those who want to start to explore the nature of consciousness through meditation. 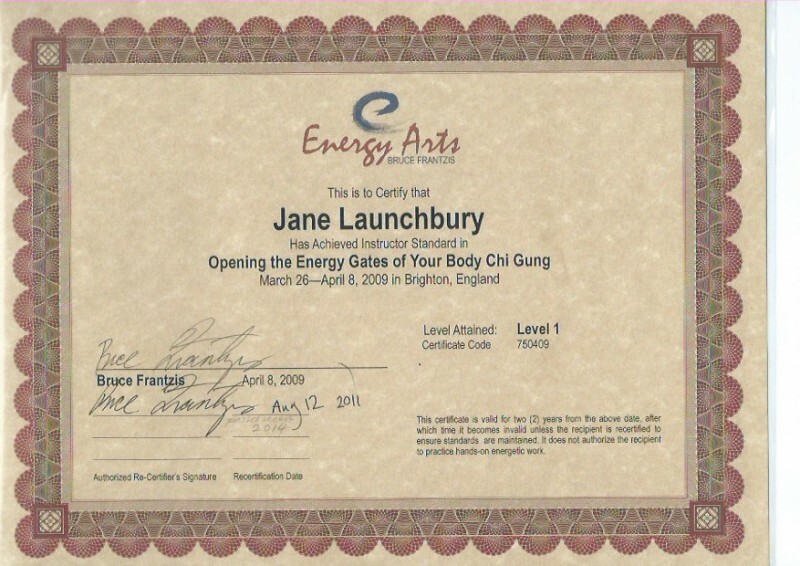 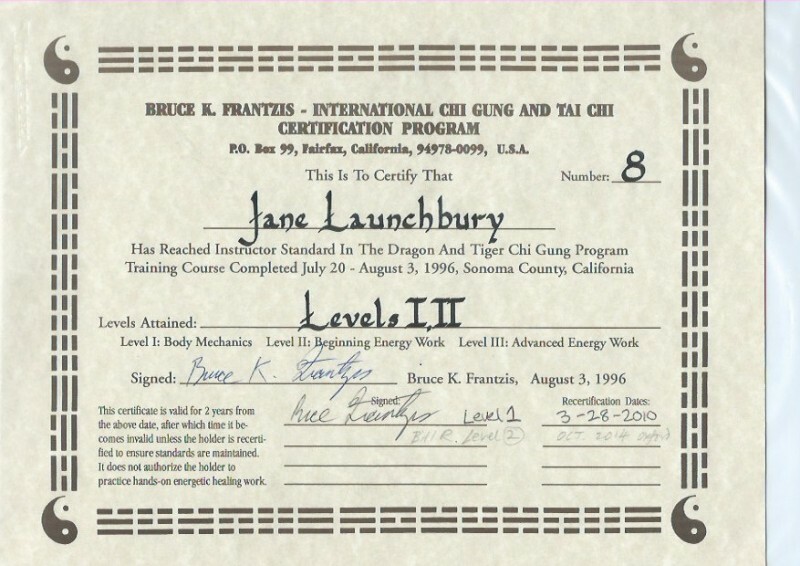 She first qualified as an Energy Arts Teacher in 1996 and now holds numerous qigong, neigong, tai chi and meditation teaching certifications within Bruce Frantzis' Energy Arts System and also from Sam Masich and from Dr Paul Lam. 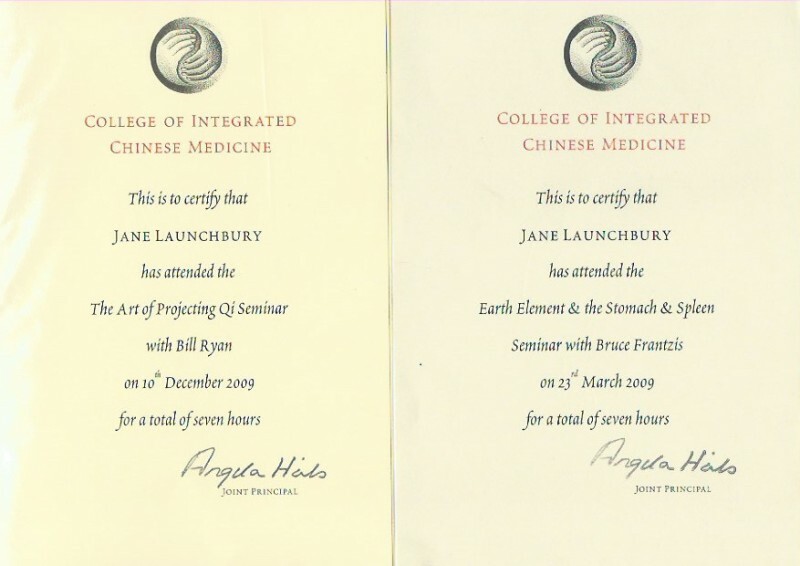 Jane has also illustrated and written a number of best-selling books and magazines and has done many years’ work in the community and voluntary sector, including time as both a parish and district councillor and currently as a secondary school Governor. 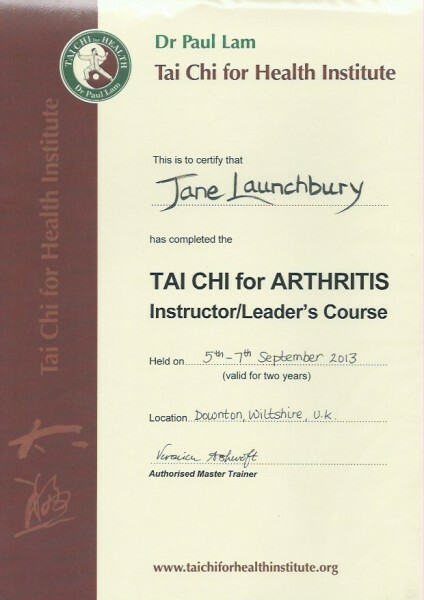 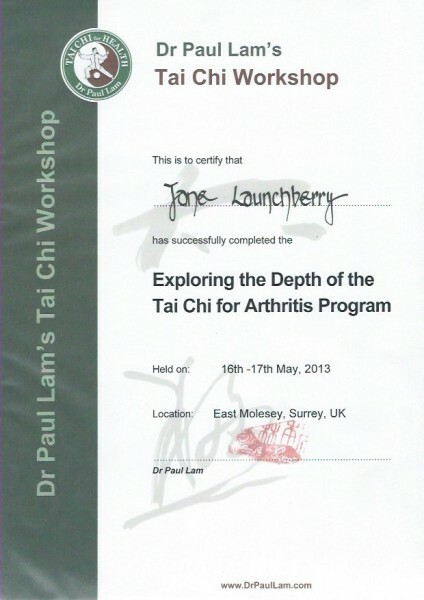 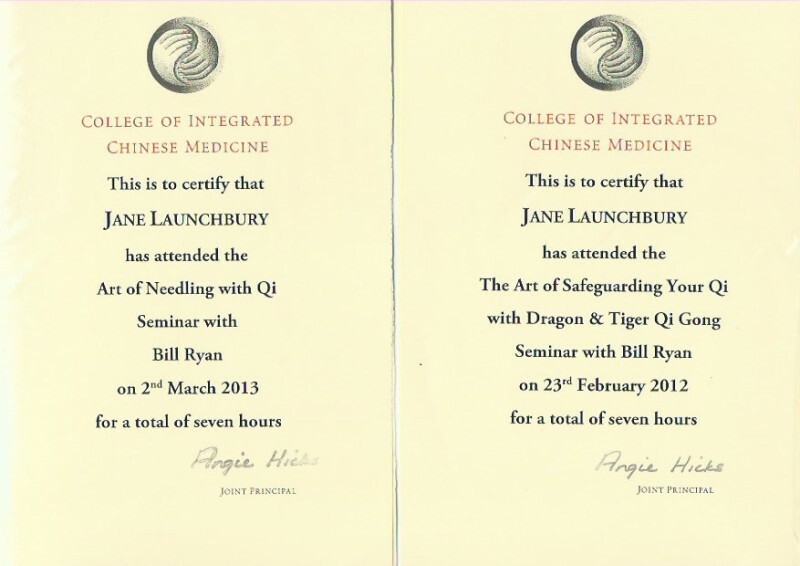 Jane has personally used tai chi and qigong to manage a number of chronic health conditions. 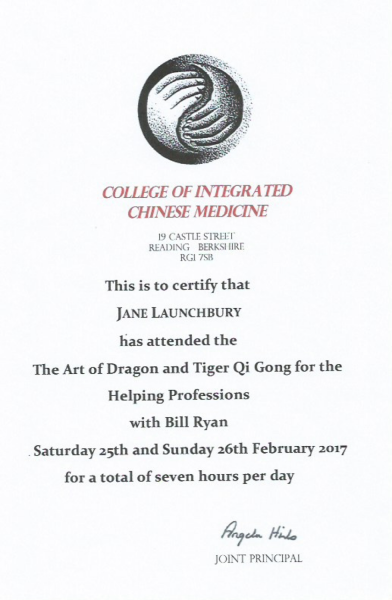 Amongst other things, she was diagnosed with arthritis as a young adult and manages this condition entirely with tai chi and qigong. 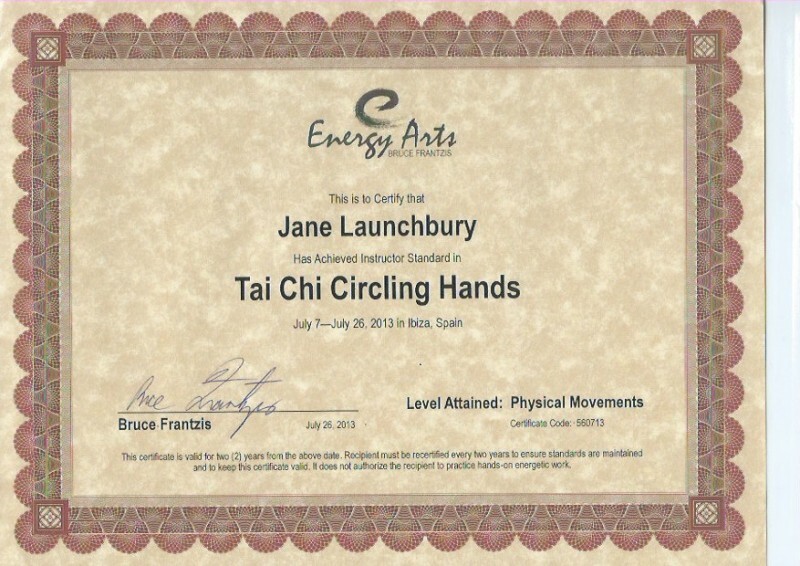 Until she started tai chi she had also suffered from asthma and bronchial problems, but within six months of daily tai chi and deep breathing practice she found that she no longer needed any medication. 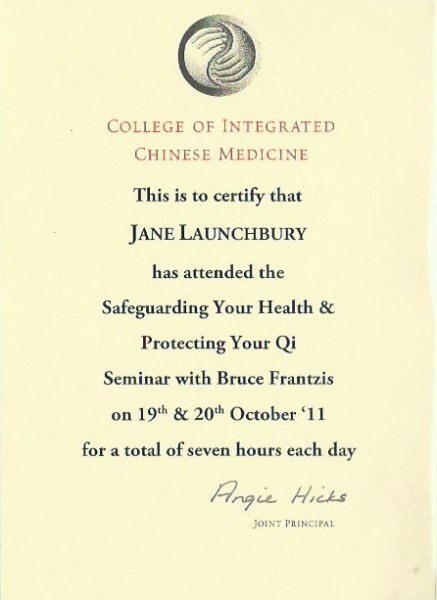 Daily practice of tai chi, qigong and meditation have had such a profound effect on Jane's health and wellbeing that she switched from a very successful career to teach them, in order to share their benefits as widely as possible. 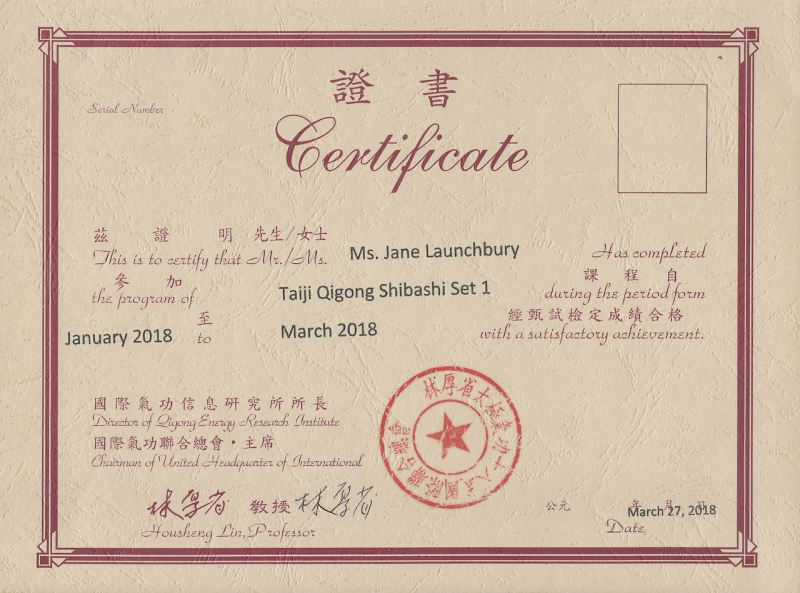 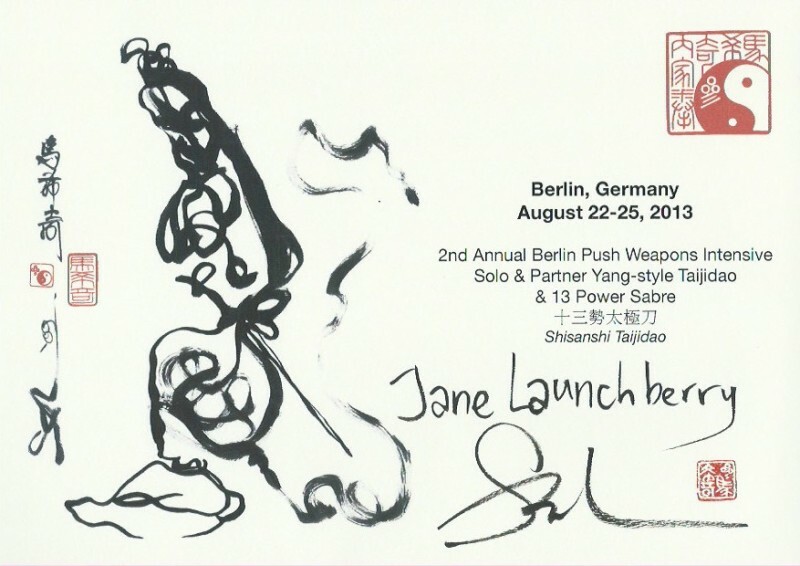 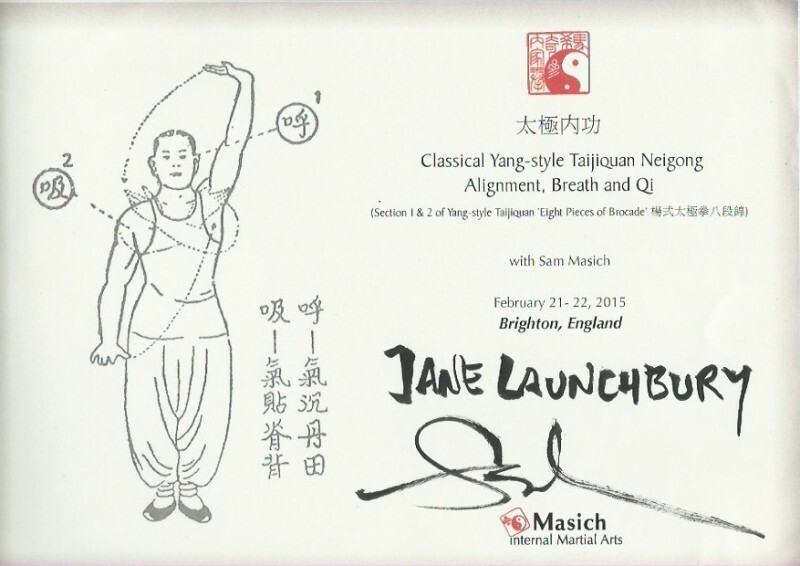 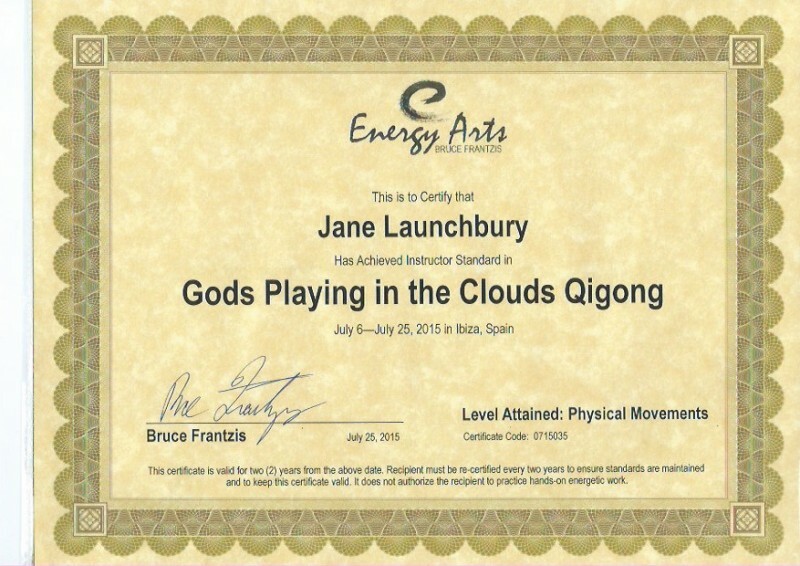 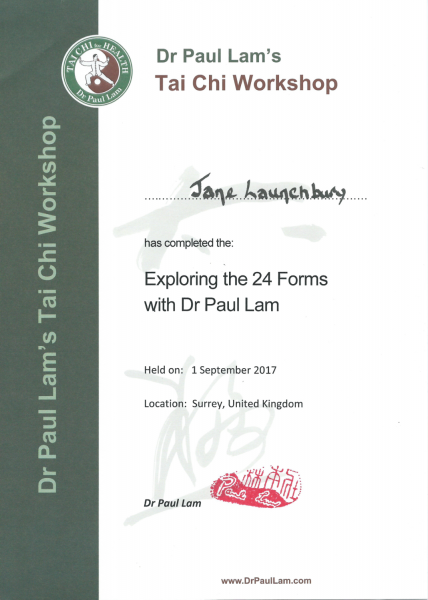 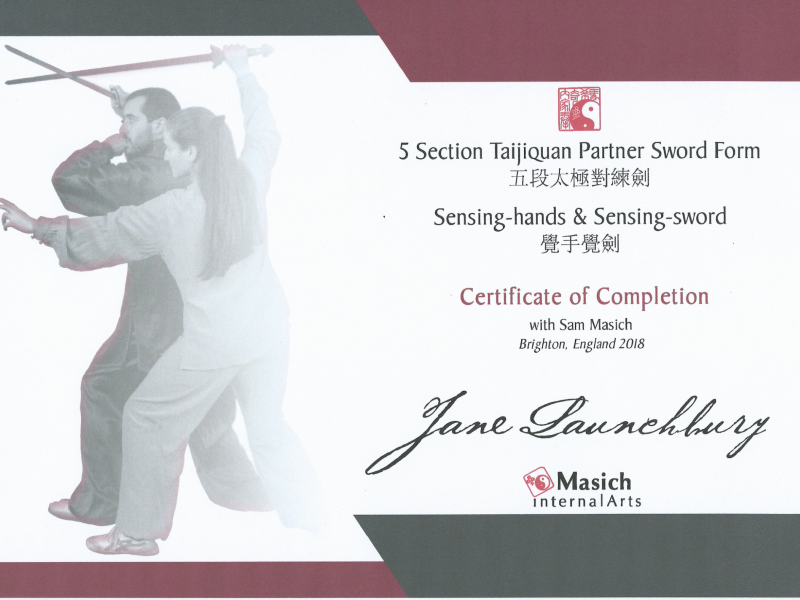 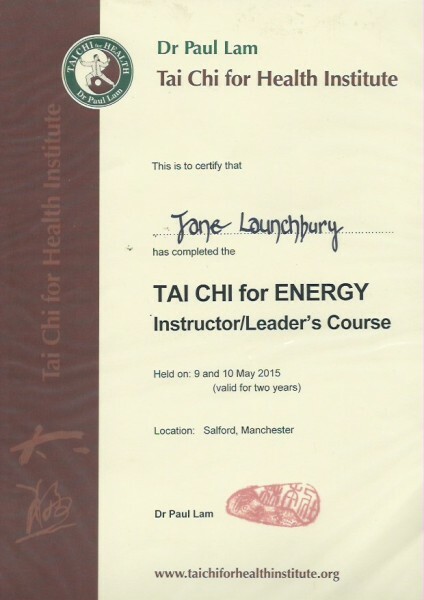 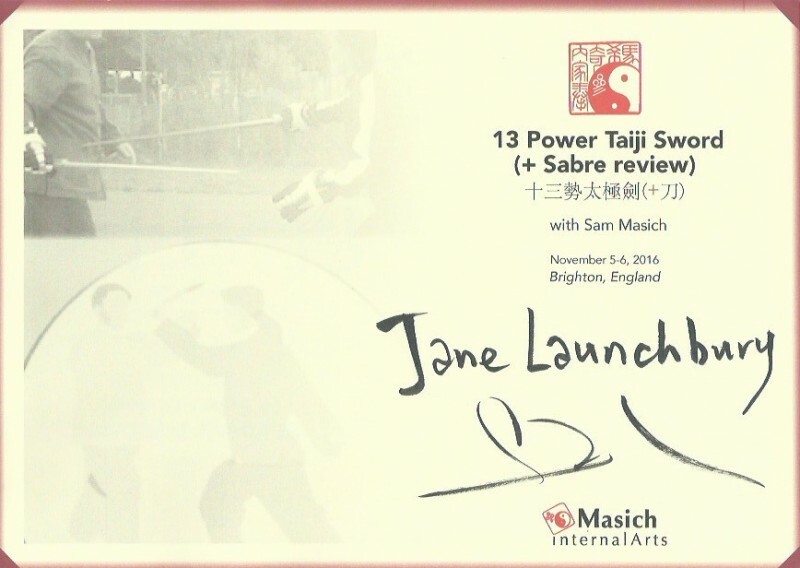 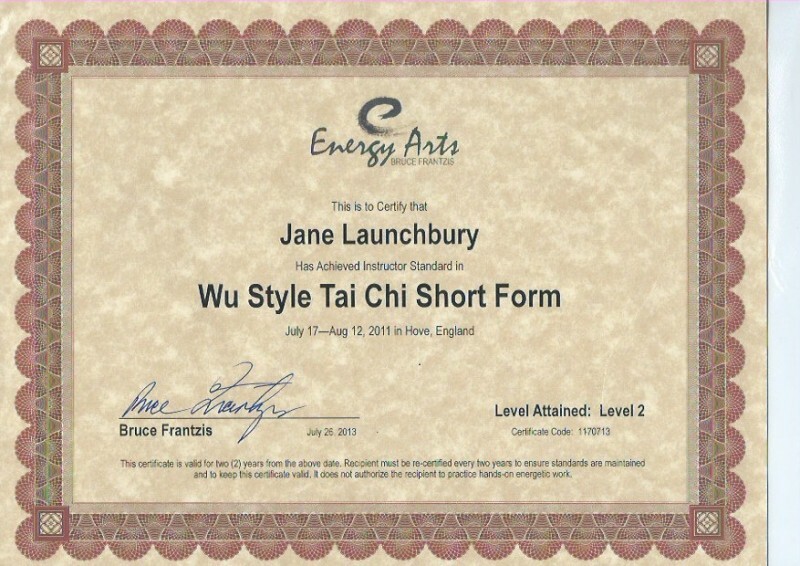 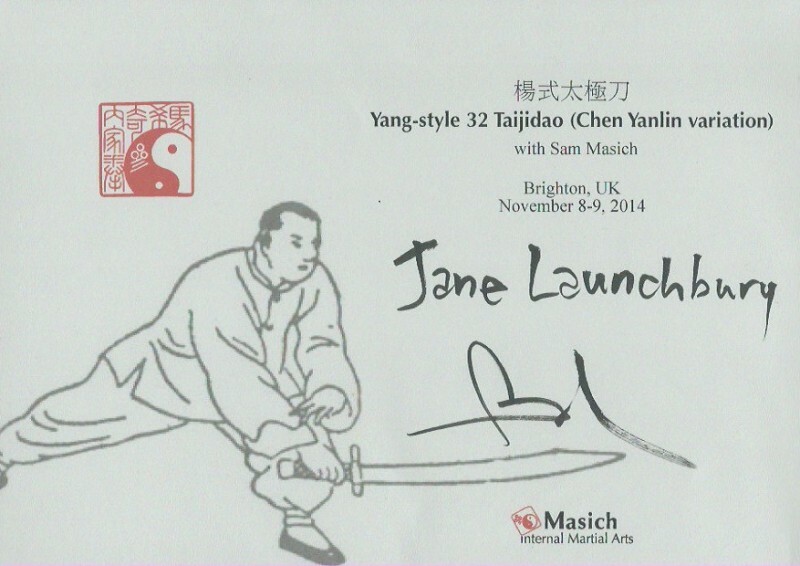 Jane is an Advanced Instructor Member of The Tai Chi Union of Great Britain, certified Level 2 Energy Arts instructor, Five Section Taijiquan instructor (Full Curriculum), Tai Chi Qigong Shibashi Set 1 Certified and Tai Chi for Health and Energy instructor (lapsed).